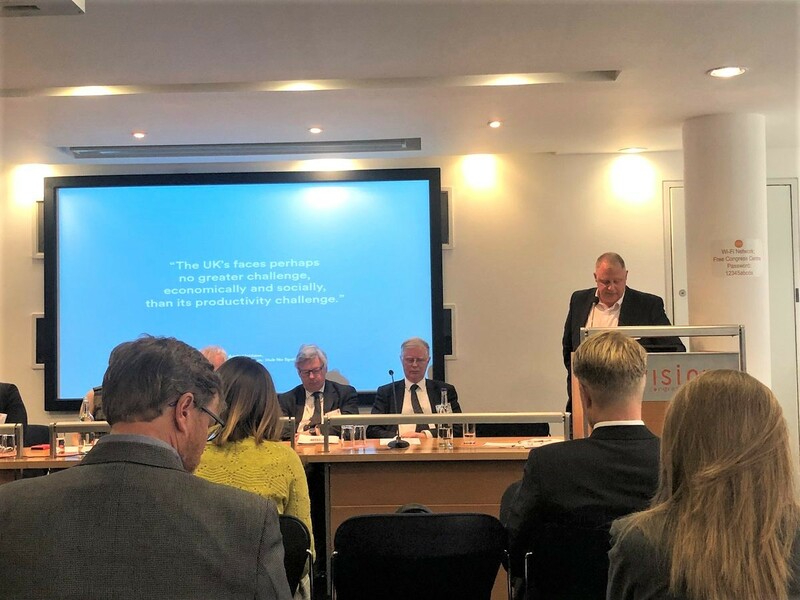 Newable was invited to address a number of senior policy makers at a seminar recently, Here's what we had to say. Good morning. I am Nick Wright the Marketing & Communications Director at Newable. Newable was founded in 1982 and was known until relatively recently as GLE. We are a company limited by guarantee. We make profits but we do not distribute them. They are retained to fuel our growth. We work with businesses at the heart of economy, unleashing potential, building resilience, championing inclusive growth. We provide the essential resources companies need to take the next step with their business - across funding, professional support and premises. We are the UK’s leading provider of Responsible Finance, largely to businesses who have been refused by, or don’t even both to go to, High Street banks. We also run the UK’s most active early stage investment network delivering patient capital to knowledge intensive businesses at a stage when VCs or Pension Funds won’t look at them. We are one of the Department for International Trade’s leading delivery partners for export advisory services. Last year, we supported over 15,000 companies in London and the SE unlocking £2bn in incremental export sales. And we provide flexible homes for over 2,000 business at 50 Citibase business centres up and down the country. Key take away – we work with a lot of businesses, very closely, every year. And this firm level experience provides us with a perspective on such themes as Productivity Puzzle. The work undertaken by Andy Haldane of the Bank of England has been hugely influential in informing the thinking around the productivity puzzle. It is commonly accepted the UK has a “long tail problem”. However, Mr Haldane, is by his own admission, longer on the analysis of the problem than he is on the potential solutions. The long tail problem has elided into a SME problem. Inevitably perhaps given their sheer and growing numbers. However, apart from the favoured few considered to have the potential to become unicorns, the rest of the universe has been put together in a single homogeneous lump. We suggest that there is a desperate need of a working taxonomy and segmentation of the small business universe. Only when we have one will we know who we need to help and how we need to help them. Until we have that, we’ll continue to develop solutions in search of problems. As it happens, with a slightly different goal, a similar exercise has just been completed by DIT. It is a pretty impressive piece of work. It connects to the Export Strategy. Proving these things are possible! Absent this segmentation, let's turn to potent remedies to the productivity crisis. One of the oft touted solutions is the adoption of technology. Or lack of it. So let’s do a bit of firm level thinking as to why SMEs are slow to adopt IT. Well the answer is pretty simple. They don’t have any spare cash! They are too busy obsessing about making payroll and paying HMRC. Banks won’t lend to them and their own money is being used to fund the cash flows of their customers. So it follows – if we want to get serious about getting smaller companies to adopt technologies, we are going to have to get serious about addressing the Bank referral scheme and the pernicious culture of late payments. Another touted solution is that SMEs should embrace innovation in working practices. If we are serious about that, then we are going to need to get serious about the providing the incentive to innovate. There is very little when too many smaller companies are denied the opportunity to access public and private sector supply chains. The stated target is for SMEs to account for 33% of all public procurement by 2022. The latest figures from the cabinet office show the actual percentage going backwards from 24% to just 22.5%. If we want to get serious about promoting innovation, we need to get serious about fixing this. The most heavily touted solution is the development of management capability. However, SMEs are denied access to support because the wrong type is provided by the wrong people in the wrong way and context. If we are serious about developing management capability then we need to get serious about adopting the “single front door” model of focused, effective and practical capability building support as offered by International Trade Advisors or the Small Business Administration in the States. We need to stop the myriad of random, short term, token and theoretical programmes currently offered domestically. We need to be cured of “pilotitis”. We need to get serious. Because as Andy Haldane tell is us, the problem is serious. However, let's look at the problem through the right lens: Productivity is not holding back the economy so much as the economy is holding back productivity. Fix the access issues - to finance, to opportunity, to support - and the gears will start turning again. There more in our white paper if you are interested.